The final days to raise the $5,000 Jason's Hope is seeking to help with medical bills is winding down. With only 3 days left of the Jason's Hope fundraiser on GiveForward.com, the final push to help raise the $5,000 needed for medical bills is making a big push. "Through all of this, Jason is strong. He is not only strong, but he is smiling every day. Lets be an inspiration to a young man that needs our support." 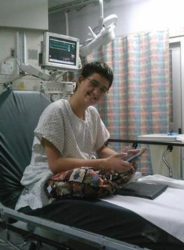 said Teresa Stoke, Jason's mother, "Please, help me raise money to get him the medication he needs." For more information please visit http://www.giveforward.com/jasonshope.